Kāwhia Harbour is a large estuary which was formed when a valley was inundated with water and blocked by the formation of a sandbar at the coast. The harbour provided food for generations of Māori communities and remains a popular fishing spot in the 21st century. On a still, sunny day the waters are like a vast mirror. 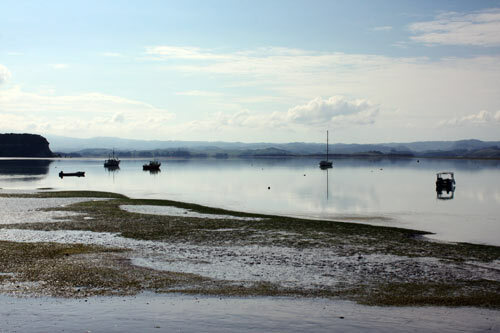 This is the harbour, looking out from Kāwhia township at low tide.